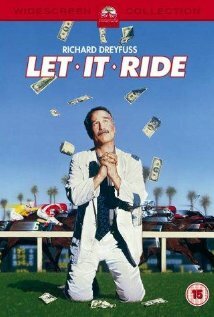 I watched a movie from the 80s in which a habitual gambler gets a sure-thing tip on a horse from a friend, he bets the horse and wins. Thing is he has a gambling problem and shouldn’t be betting but now that he is playing with house money he bets on the next race with all the winnings and wins again. He is on a hot streak, he can’t lose, he keeps betting it all and winning. The movie is hilarious, but one of the best things to come out of it is how people treat his lucky streak. His friends at the dive bar that the down on their luck gamblers go to between races ask what horse he’ll bet on next, but then they all have reasons why they are gonna bet different. He gets into the high-rollers lounge and people there won’t go along with his bets because they all have other ideas. Everyone knows instinctively that a lucky gambler’s past performance is useless in future races, everyone knows what works for them. Picking a winner is like a religion, and everyone trusts their own luck. Talking about a successful way to lose weight is like talking about your lucky streak at the track. Most people that need to lose a few pounds or more already know how to do it, or they think they do. They keep trying to do what they have heard works for their whole lives and it might work for a while. When it doesn’t work in the long run they feel like they, personally, didn’t do it right. It doesn’t seem to matter that everyone around them is failing to lose weight in exactly the same way, and always has. Every failed dieter just knows that they did something wrong. When you find out about a way to lose weight that is easy, so easy, in fact, that you don’t get hungry doing it, you want to let people know how that works. How do you let people know how it works? I can’t just come up to you and say, “I see you are a few pounds over weight, I know how to fix that, just ask me.” How about if I show up and you ask me, “Wow, you look great, how did you lose so much weight?” Sounds like a great time to say “I gave up carbs completely”. The very next thing I hear is “I can’t do without my (potatoes, bread, rice, Coke, beer, pasta, tortilla…)!” I have a proven winner, it will win every time, forever, but my friends are sure that it won’t work long term. They all know that its something I will fail to do from now on, just like what they have experienced trying to cut calories for long term. How on earth do you convince people that to quit eating carbs is different than cutting calories? There must be a way to get people to see that I am not on a lucky streak, without my having to go a year or two before I have the credibility to say “It’s possible to give up carbs forever.” See, the forever part is the hard part. People want what they want. When I hear men at work talking about counting their calories my heart sinks a little bit. Every time someone starves themselves for a month or two, loses a little weight (or a lot) and then goes back to eating what they need to avoid hunger and the weight comes right back, they lose the will to do it again. Their biggest fear is that they are not strong enough, disciplined enough, and that they will go through a month of hunger only to fail again. I know they don’t have to fail ever again, but they don’t know what I am saying. They don’t realize how important it is to success that a person need not be hungry to lose weight. Think about it, you eat all you want, you eat every time you are hungry, and you lose weight anyway. You don’t think about food all the time. All you have to do to make it work is look away when you see the candy machine or soda machine at work. As a bonus, it’s not even hard to look away, because you are not hungry anyway. I have come to the point where I eat lunch because it is lunch time and we are all eating, not because I am famished and barely made it to lunch without getting some crackers at the vending machine. There is nothing special about me, this didn’t take some sort of herculean strength of will to achieve. It just works. If you think you can eat carbs yesterday and gain weight, eat no carbs for a spell and lose weight, then start eating carbs again…..what do you think will happen? Not eating carbs is not a diet, it really is a way to live. People that will tell me that I can’t give up carbs forever don’t know how it works. I am not giving up carbs forever. I had chocolate cake yesterday at my daughter’s thirtieth birthday. I have given up eating carbs. I don’t need them at every meal for any ‘health’ reasons. My muscles don’t need me to eat carbs to function, nor does my brain. I am two weeks eating meat at every meal, and only meat. Every day I have written in this journal, and my thoughts flow as smoothly as ever, read through them. Do you see any evidence of a mind in decline because it needed glucose in the blood to feed it? I can have something to eat that contains carbs, like a piece of fruit in season, and it will not make me crave them at the next meal. I can go right back to meat only at the very next meal, I can go the whole next day and no carbs will pass my lips. Any time I want I can have a bite of sweet or starch, the thing is I just don’t want to do that. Its way easier than doing cigarettes the same way. The only thing I seem to need much more of when I eat meat only is water. I used to go all day on a couple of cups of coffee in the morning and a glass of water at dinner. I was probably dehydrated but didn’t know it, because carbohydrate is inflammatory, and I was retaining what little water I would drink. Now I drink water all the time, I am thirsty during the day, and I have to drink water before bed and keep water nearby for the night if I don’t. I also now urinate frequently during the day, which is not how I was when I ate a ‘balanced’ diet of meat, fruit and vegetables. So I feel like a gambler that figured out how to beat the house every time I walk in the casino. When I tell someone “Bet just like I do” they don’t. I hear all of these failed weight loss strategies being discussed on the news, in the papers, at work and I can’t say “hey hasn’t that been tried and failed?” I can’t say that because everyone thinks that it wasn’t the diet that failed, it was the dieter. Science knows now how fat is formed in the human body. If more fat is being formed than necessary, then carbohydrate is the genesis. This is non-controversial science. It’s just not news. This entry was posted in Health, Living and tagged 12 Step program, atkins diet, breaking addictions, breaking habits, diet, great advice for diet, how to lose weight, paleo diet, south beach diet, weight loss. Bookmark the permalink.